Under FSMA law documented food protection protocols must be in place. With the signing into law of the Food Safety Modernization Act (FSMA) in 2011 the Food and Drug Administration under the auspices of the federal government shifted focus from dealing with food born illnesses to preventing them. All food processing facilities must now be registered with the FDA. The law makes food-processing companies accountable for controlling contamination of food and requires them to develop written procedures for controlling or eliminating potential hazards. Coming up with the hazard identification and control procedures will be the first step for food processors who do not already have documented plans in place and being used today. The principles are quite similar to the Hazard Analysis and Critical Control Points (HACCP) methodology. Two of the elements in such a plan will surely include the attributes of the machinery being used to process the food and the sanitation and maintenance procedures required to keep it clean and in proper working order. To a large extent the existence and quality of documented food safety plans will determine which companies the FDA is most interested in inspecting first. 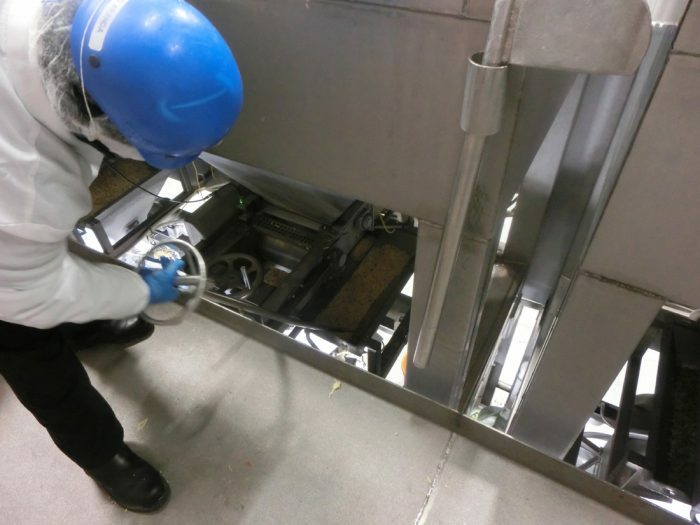 As equipment manufacturers we are committed to improving designs and construction to further minimize risk of food contamination and to provide our customers with the ability to produce a “verifiable clean” meeting the highest standards of food safety in the shortest amount of time. We look forward to playing a vital role in helping our customers meet the critical and exiting challenges presented under FSMA.